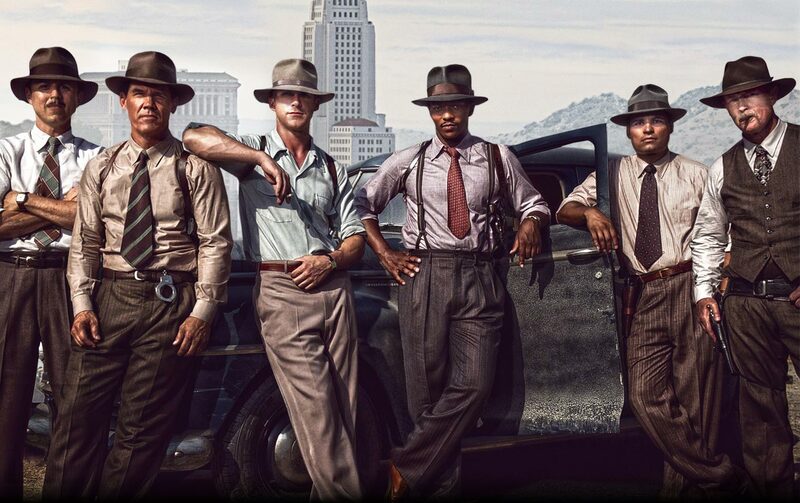 Gangster Squad is exactly what you would expect from s gangster film: Bad cops in good suits, obedient trophy women wrapped in satin, a thunderous tally of pumped ammunition and cheap chat-up lines which, if they were not coming from the pursed lips of Ryan Gosling would earn you a wet lap and a red cheek. The distractingly handsome Ryan Gosling is borderline to playing a parody of his real-life self as he oozes around the screen with those big bad hats, biceps like hung hams and a tattooed smirk that would melt anyone with a pulse. This guy could be announcing he had piles and your pants would be around your ankles. Emma Stone holds her leading lady role well (if you can call a role that requires being hinged at the hip of her beefy brute of a boyfriend a leading one) and effortlessly emits the glamour associated with the feverish 40s. If you squint, and maybe if you were drunk, you could be forgiven for thinking this ‘Tomato’ was the real-life Jessica Rabbit. The release of this film has not come without its complications. After the Aurora shootings where a gunman opened fire in a midnight screening of Dark Knight Rises, Gangster Squad got conscientious and removed and replaced a scene in which a shoot-out is set in a cinema. This scene was also due to appear in the trailer…which was due to appear before screenings of Dark Knight Rises so you can see their point despite, as Ryan Gosling put it, it being the most ‘cinematic part of the film‘. It was substituted a year after filming with a scene set in China Town where the gangsters indulge in yet another buffet of bullets with a backdrop of red lanterns and extras dressed like Chung-Li. Speaking to a marketing exec at Warners, one of the few who have seen both versions, she confessed she preferred the replacement due to it being more beautiful, which, if you discount the blood-less bloodbath taking place, seems like an agreeable comment. Sure the scene cost a few more million to make but with a healthy $6.7m at the box office on opening week this is chump change. The shelved scene is still knocking about, probably locked in a steel time capsule guarded by Transformers and Superman in the attic of the Warner Brothers Towers, and it’s likely that the scene will re-surface once the heat is off Hollywood for exploiting violence (for now). Give it a couple of years and we’re bound to see it in some sort of special (aka expensive) collectors edition or re-release. It’s hard to put down Gangster Squad for being silly, or misogynistic or indulgent because it never said it would be anything but a borderline cheesy, indulgently stylistic shoot-em-up – the clue’s in the title. This appears like a Gangster Film For Dummies systematically and obediently ticking off each stock-pile scenario avoiding initiative and sticking close to the curb of cliché. Easy to watch, hard to fault, this is a film that knows its place.